For the month of September, which is also Baby Safety Month, I am partnering with the American Cleaning Institute (ACI) to help spread the word about laundry room safety. Because they are not as regularly used as say bathrooms or kitchens, parents often overlook things that could be unsafe to children in the laundry room. Luckily it doesn’t take much to childproof your laundry space and prevent accidents from happening. 1. Keep the door to the laundry room closed whenever possible. The best way to keep your infant or toddler out of danger in the laundry room, is to keep them OUTSIDE of the laundry room. Getting in the habit of always closing the door behind you is a good one. If your laundry room doesn’t have a door, adding a baby gate while your children are young is also a good idea. 2. Keep laundry detergents high and preferably inside of cabinets (out of sight). Making sure everything is inaccessible is the best way to prevent potential accidents from occurring in your laundry room. NEVER store detergents where kids can reach them. Trusting that children “just know to not touch” something is not a reliable plan. 3. Keep detergents, concentrated liquid detergent packets and dryer sheets in their original containers. This doesn’t mean your containers can’t be nice to look at, but they should house the entire detergent packaging. Make sure you are always replace and tighten the lids on liquid detergents. Accidental spills are less likely to happen if the lids are kept tight at all times. 4. Store your iron and ironing board securely. Do not lean it against the wall or leave it set up where it can easily topple over. NEVER leave a hot iron unattended. Small children can easily pull an iron down by the cord which could result in severe injuries. 5. Do not store items directly on top of washer or dryers. Objects can easily shake loose when stored on top of washers and dryers. The shaking motion from a running machine can cause items to fall. If you need storage space above a washer or dryer, install a shelf or countertop above the machines so that the items can be stored safely. NEVER EVER place a child bouncer or infant seat on top of a washer or dryer, and never allow a child to sit or stand on top of a machine. 6. Remember to clean your lint traps before every load and clean out your dryer vents on a regular basis. Lint build up inside of dryers and vents is a leading cause of house fires. There are many tutorials available if you aren’t sure how to do it. 7. Don’t allow children to play in your laundry room. Do not store toys and play things in the laundry room and do not let children play on or around washing machines and dryers. You do not want children to consider potentially dangers machines as a play area. 8. Always keep the doors to your washer and dryer closed and always check that your machines are completely empty before filling and running them. Small children and pets can easily fit inside washers and dryers. 9. Never leave standing water in sinks, basins, washing machines or buckets. Children can fall in and drown in as little as few inches of water. If you need to soak clothing, use your washing machine with the door closed and latched so children cannot access it. 10. Be aware of climbing hazards inside the laundry room. Items like laundry baskets, buckets, shelves, stools or even a pile of laundry can be used by children to climb and up and reach normally inaccessible areas of the room. 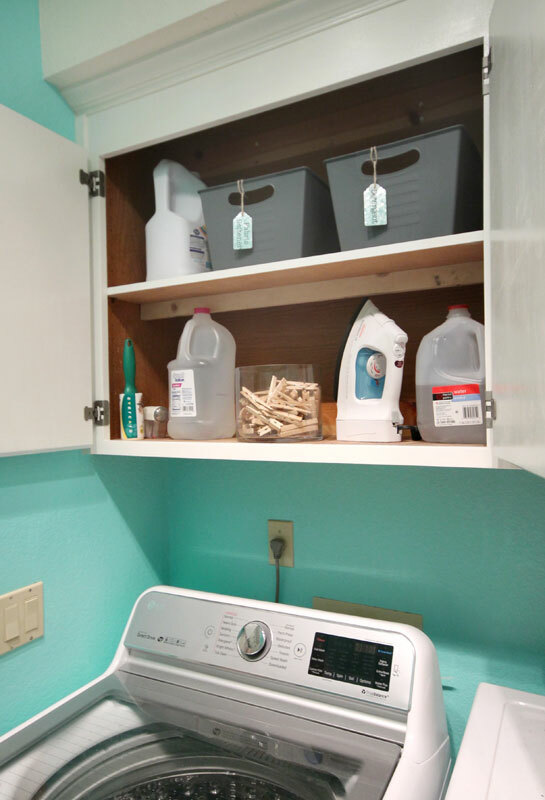 These 10 tips can drastically cut down on the likelihood of laundry room accidents! Be the key to a safe laundry room! Pledge to keep your laundry room safe by taking ACI’s KEY Pledge! You’ll be entered to win a $2,500 gift card* for a laundry room makeover!